Orb Dungeon makes a comeback! Refer to the first Orb Dungeon and the second one if you still don’t know what this dungeon is about. 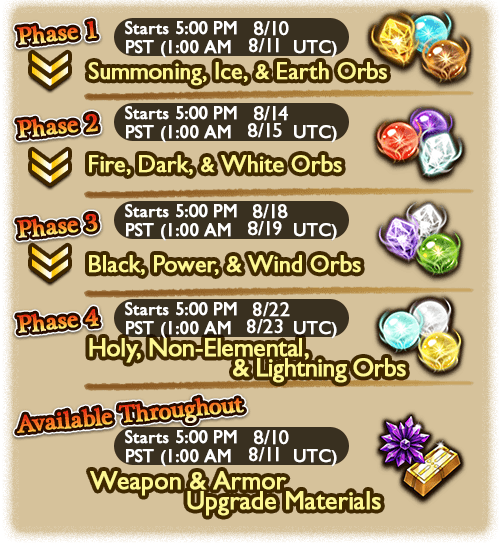 The orb combos has changed since the last Orb Dungeon, take a closer look at the schedule below. 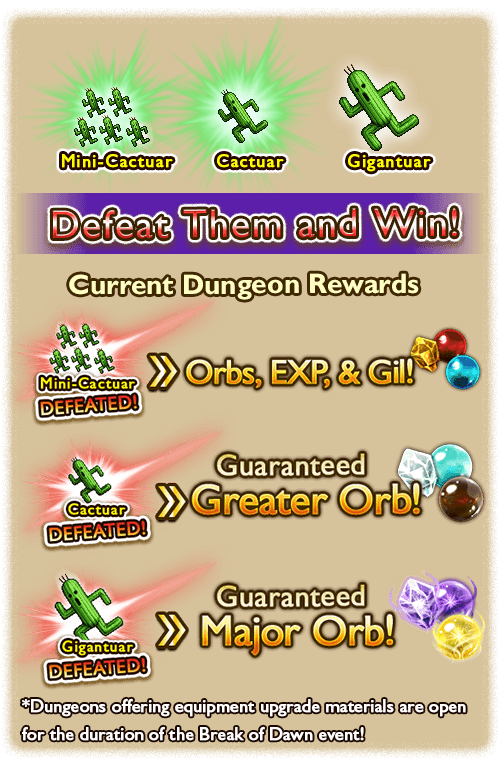 Just like the first Orb Dungeon, the Cactuars are back, but this time we have a newcomer! NOTE: The EXP values that you see are base values, and does not take into account Cactuar spawns. Cactuars give a significant amount of EXP.